Bubble Bobble Part 2 Nes Mint condition Authentic Cleaned & Tested! Bubble Bobble Part 2 Nes Mint Authentic Cleaned & Tested! Bubble Bobble Part 2 II (Nintendo, NES) Authentic. Cleaned & Tested! CART ONLY! 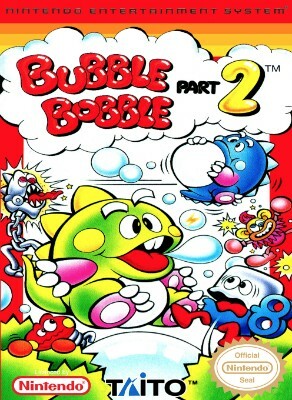 Bubble Bobble Part 2 (Nintendo NES ) Cartridge Only. Bubble Bobble Part 2 II (Nintendo, NES) Cartridge Only *Tested* FREE SHIPPING! Bubble Bobble Part 2 Nintendo NES 100% Authentic. Board Pics & Screen Shots! Bubble Bobble Part 2 II (Nintendo Entertainment System) NES Game Cartridge Nice!